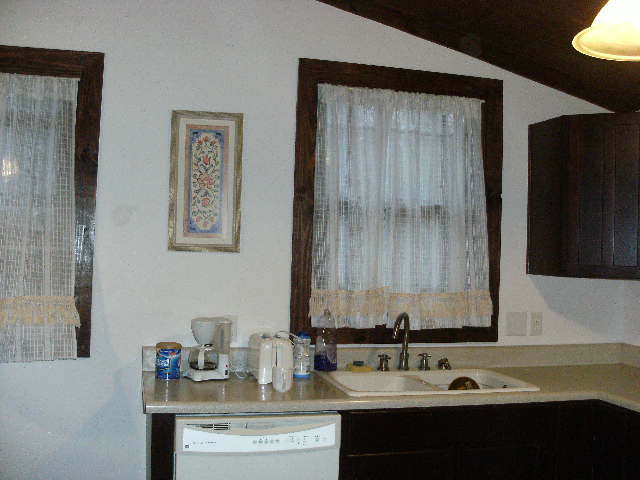 The kitchen was the hardest room for me. The Pig woman (renter) tried to destroy the wood cabinets, stove and refrigerator. 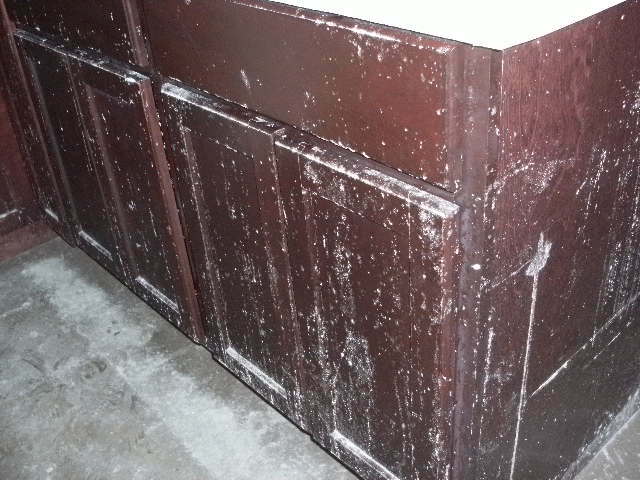 Piggy had thrown dirty water on my wood cabinets to ruin the wood finish. 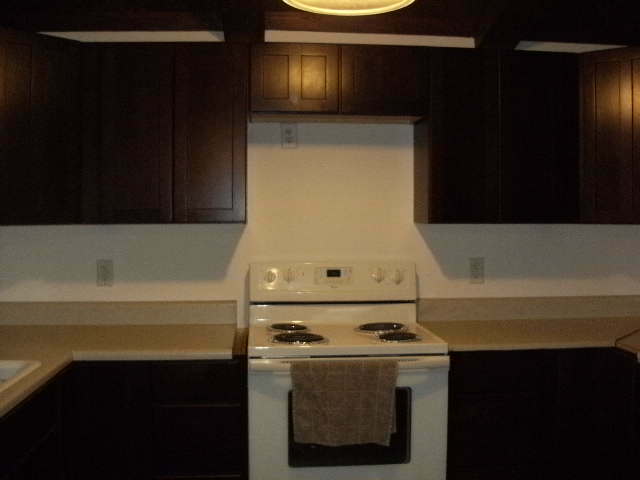 This is a Kitchen Aid – kitchen, with real wood! 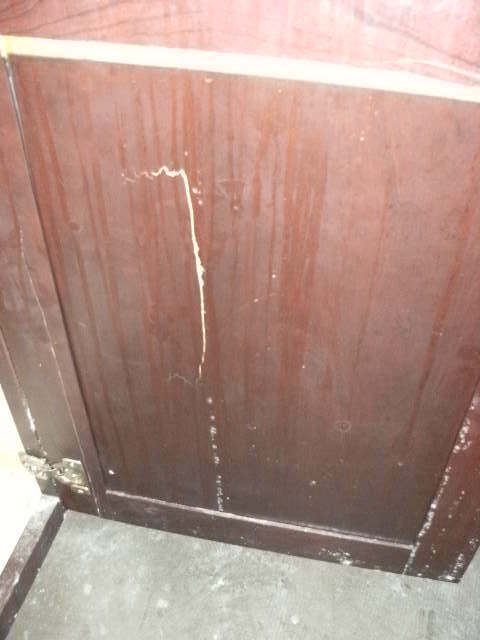 They also busted the wood on the sink base door. If I had known, I would have strangers in my home – of course I would never have invested higher quality in the home – but I did not get the notice – that my marriage would fall apart in 3 years. The message came a couple of years later- with his DUIs. Piggy also broke raw eggs and put them in the refrigerator and let them rot and mold. 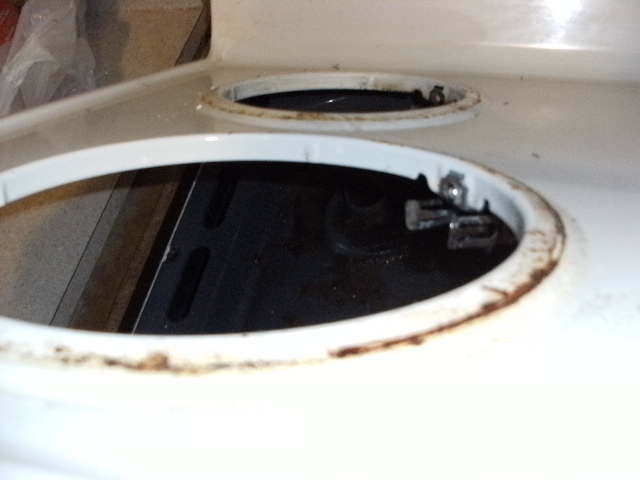 And also tossed water on my stove , I guess to try and short out the electric wires. 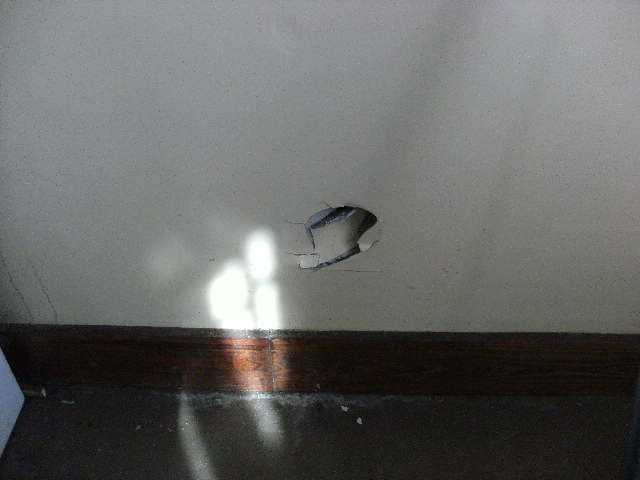 In true white-trash – style – they also kicked in part of my kitchen wall – which had to be fixed – I only hope – they broke some toes doing this- I have to stay positive somehow ! SOO – as I spent hours cleaning after Piggy – I made a decision – that revenge is in my blood – it’s a family tradition. Needless to say – I will not disclose here, what is going on with that – but for those of you who know me – this war has just begun. The flooring is being installed by Jim – a wood laminate. This flooring has a 15 yr warranty, which I feel I need now. I got this flooring at a Home Décor Liquidators. It was .99 sq ft , and the padding was 5.00 a room – which covers 50 feet. So I got 5 rolls of this padding. 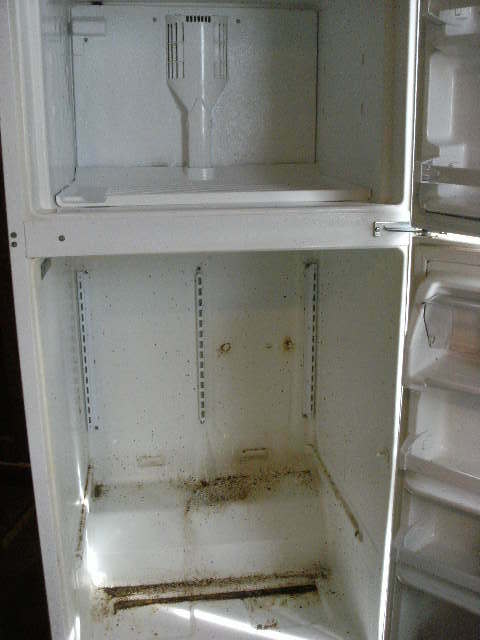 I also decided, that the refrigerator is something, that is too large for a single person- so I tossed out a couple of inside shelves that I did not want to clean- so now, there are 2. I am not going to ever rent this home, to more than 2 people again. If they want more shelves – they can buy them. 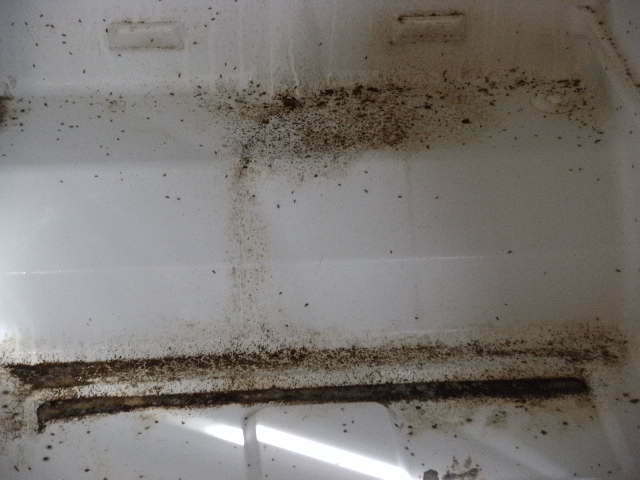 I also did the same for the stove – there was so much grease on the racks !! how do you get grease inside the oven ? Only Piggy would know how to do that !! There is a dishwasher – which my ex insisted upon. It was a waste of money, but I agreed to shut him up. 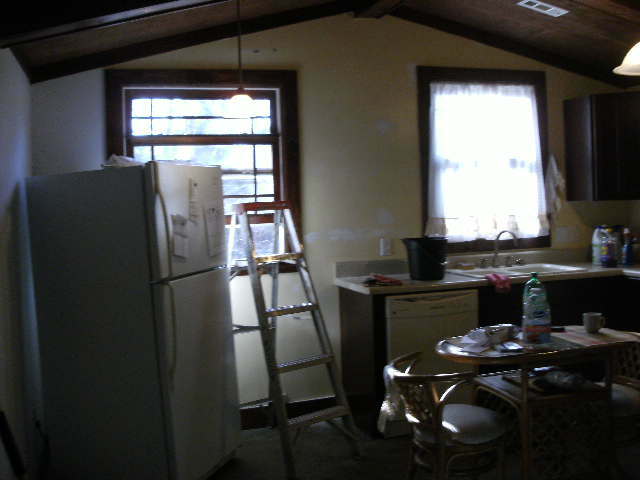 In the future, when this breaks, and it cost more than 50.00 to fix- it will be removed and a smaller- refrigerator will go in that space between the windows, and will be skinned to match the cabinets. I love that look – all matching!! So- another room is crossed off my list. I have received a nice email from a lady who is looking to rent the home – for herself & her 2 older dogs ..she sounds like a winner so far .. that would be a wonderful gift to me from God – a nice renter, who loves her dogs .. 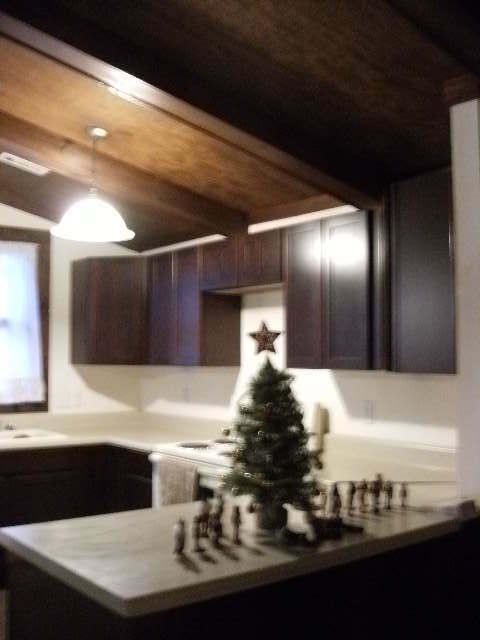 So I will pray – and hope I made some God “brownie points” this year..
You have done an amazing job restoring cabinets, kitchen looks beautiful. Happy to see this pic and another room crossed off the list!! ← 4 rooms down – 5 rooms to go !